"The revelation of the Biblical Blue is a sign that the end times are near"
The Biblical Blue thread was an essential component of the Holy Temple in Jerusalem. In addition, the Bible commands that this uniquely colored thread be worn on four-cornered garments such as the tzitzit under-garment and the tallit prayer shawl. However, for close to 1500 years, the identity of Biblical Blue has been lost to the world. 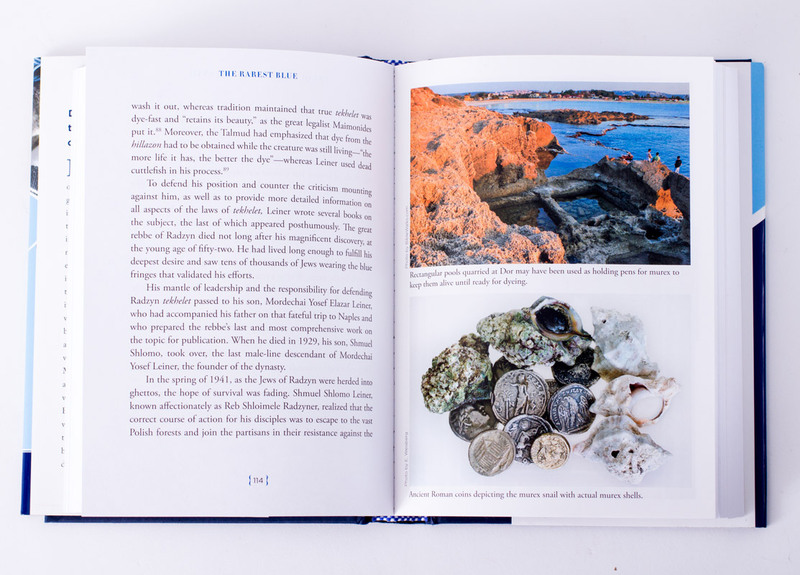 Recent advances in the fields of archaeology, marine biology and chemistry, in conjunction with intense examination of historical and Talmudic sources have identified the source of the dye as the Murex Trunculus snail, which can be found off the coast of Israel near Haifa. Learn the History ! "...they shall place a blue thread upon the corners" (Numbers 15:38). 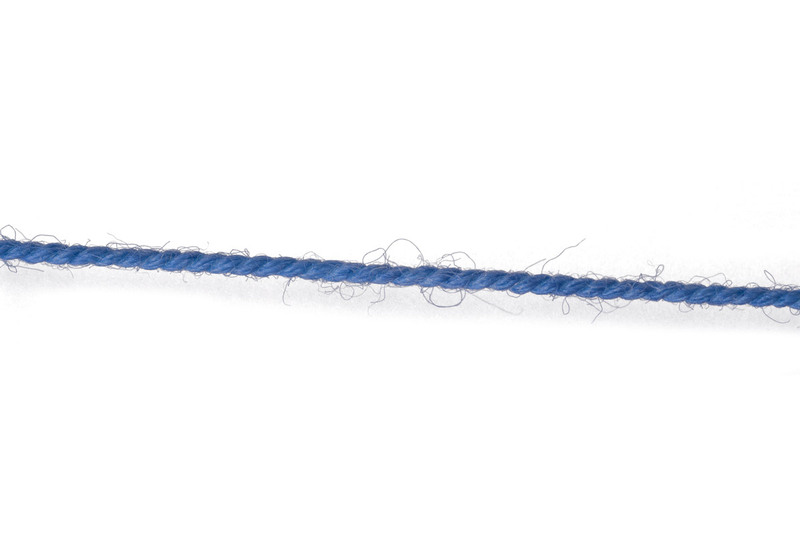 Unique bracelet features the authentic, beautiful Biblical Blue thread and is handmade in Israel. Complete with a Star of David and 2 white beads, the Biblical Blue Bracelet is a perfect one-of- a kind gift for lovers of the Bible and the Land Israel. 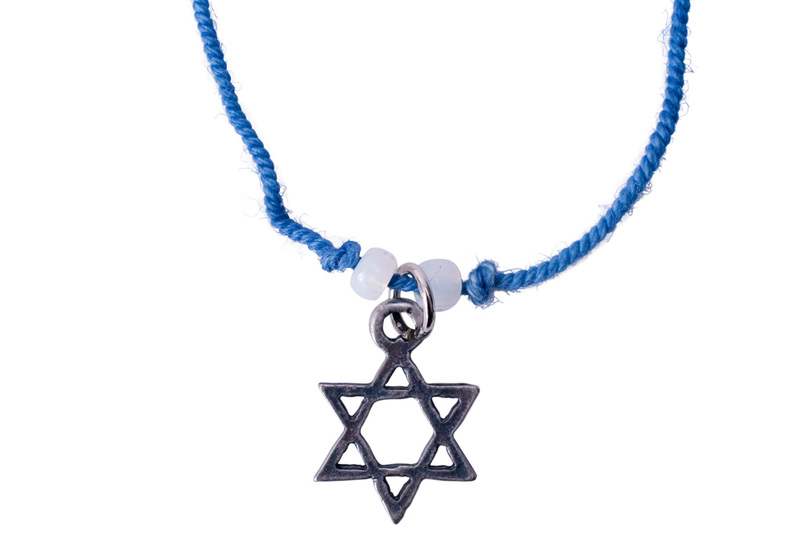 Stunning bracelet features the Jewish Star hanging from a Biblical Blue, or Techelet string. 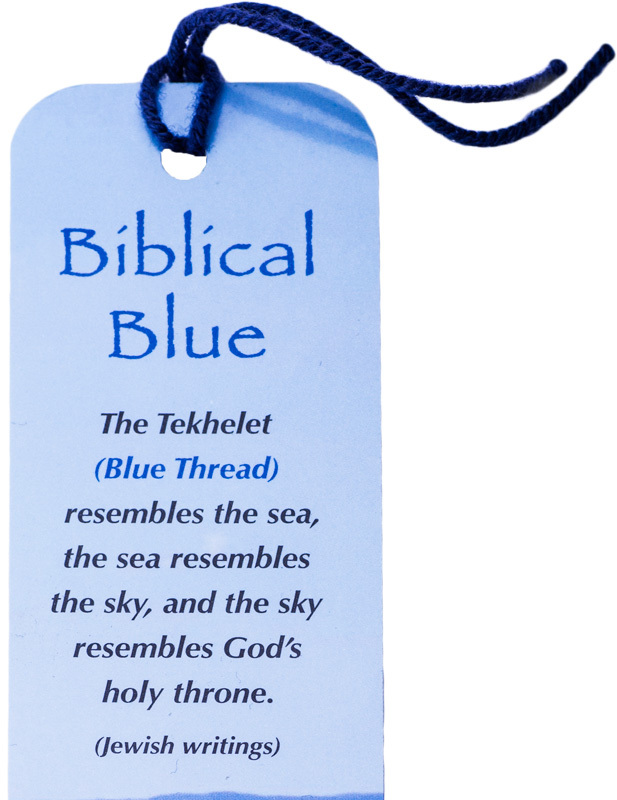 The Biblical blue (techelet in Hebrew) is mentioned numerous times in the Bible. In ancient times purple and blue dyes derived from snails were so rare and sought after that they were literally worth their weight in gold. These precious dyes colored the robes of the kings and princes of Media, Babylon, Egypt, Greece and Rome. To wear them was to be identified with royalty. The Biblical blue was essential in its use in the Temple in Jerusalem. In addition, the Bible commands that this color be worn on the four-cornered garment of the tallit. However, for close to 1500 years, the identity of the Biblical blue was lost to the world. Recent advances in the fields of archaeology, marine biology and chemistry, in conjunction with intense examination of historical and Talmudic sources have identified the source of the dye as the Murex Trunculus snail, which can be found off the coast of Israel near Haifa. 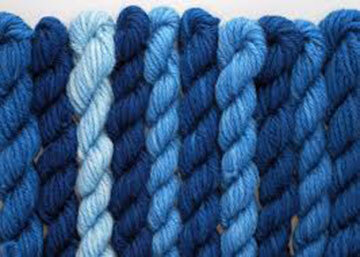 The process of extracting the dye and using it color wool has been perfected. At long last, techelet has been restored to the Jewish people and to the world. A Certificate of Authenticity accompanies each piece. "...they shall place a blue thread upon the corners." (Numbers 15:38). 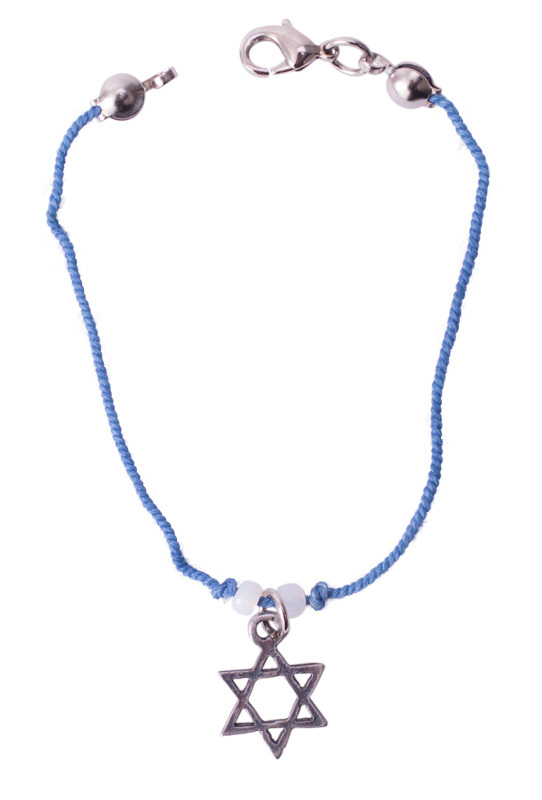 Stunning biblical necklace is handmade in Israel using authentic Biblical Blue thread. 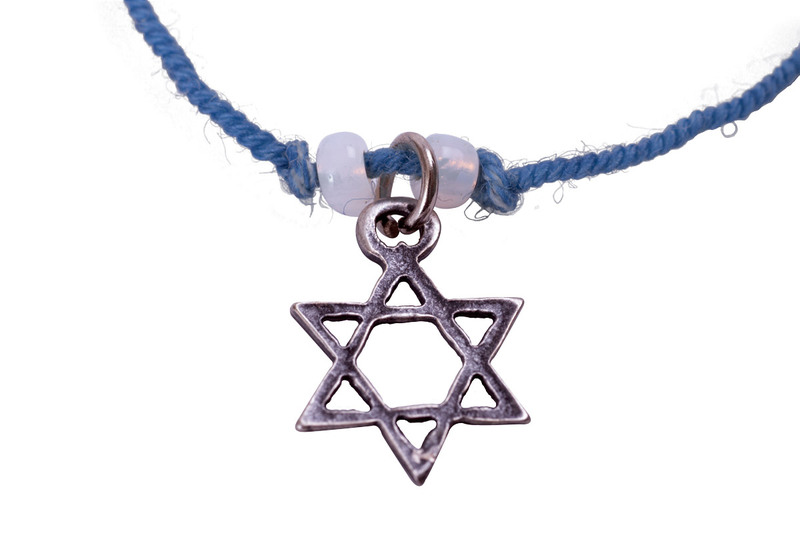 Complete with a Star of David and 2 white beads, this unique, meaningful necklace makes a fabulous Holy Land gift that will be cherished forever. 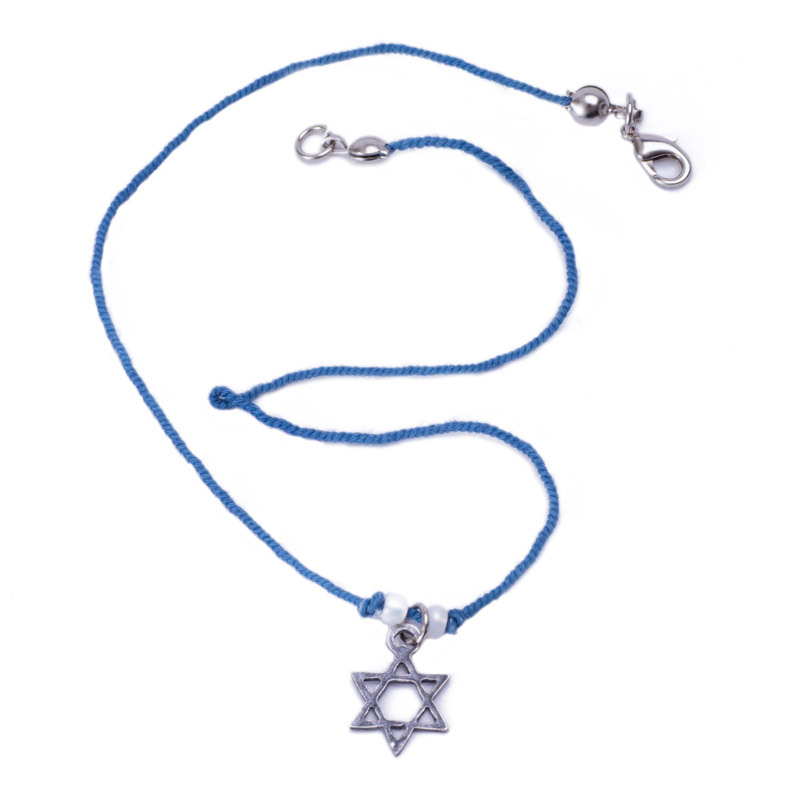 This Star of David pendant hangs from the holy Techelet string, known as bIblical blue. It is a stunning necklace, sure to bring you much luck! 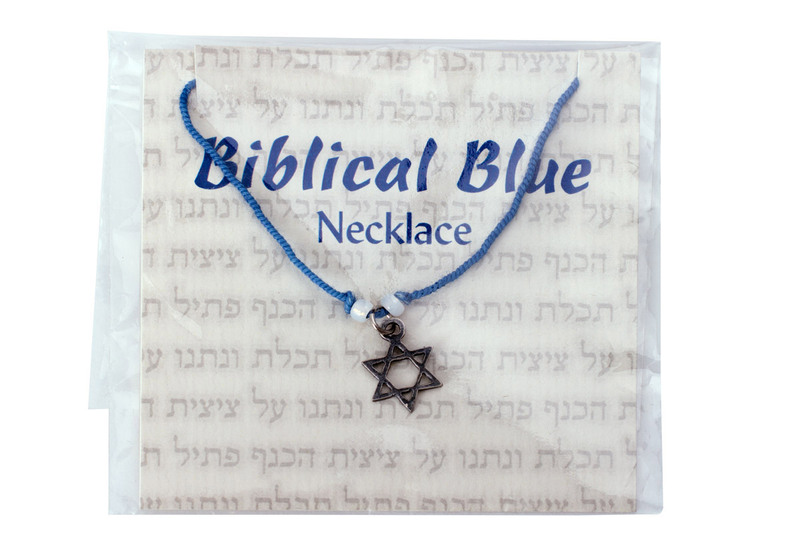 The Biblical Blue Necklace & Bracelet combo set makes a deeply meaningful and beautiful gift from Israel. Proudly keep the biblical treasures of the Holy Land bound to your arm and close to your heart at all times. A gift to be cherished forever! 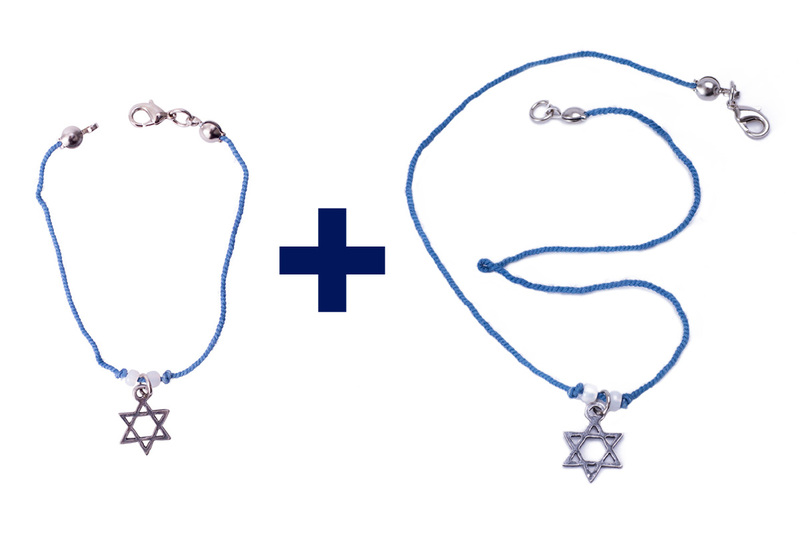 The Biblical Blue Necklace & Bracelet combo set makes a deeply meaningful and beautiful gift from Israel. "...they shall place a blue thread upon the corners." (Numbers 15:38). A perfect complement for your Bible or any book! 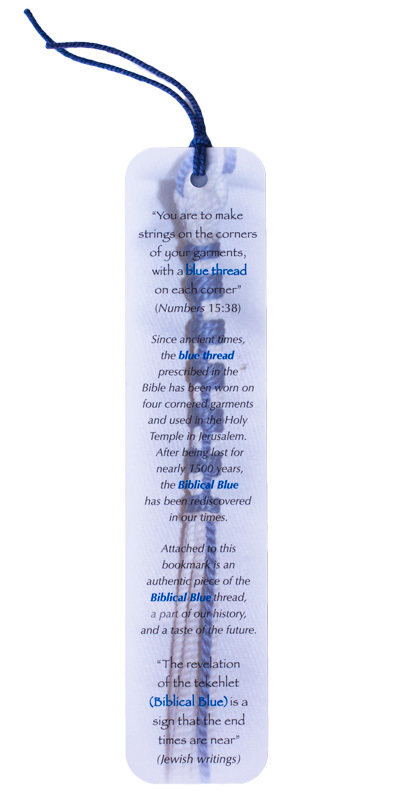 This bookmark features a piece of authentic Biblical Blue thread, along with inspiring quotes from the Bible and ancient sources that shed light upon the secrets of the ancient techelet. 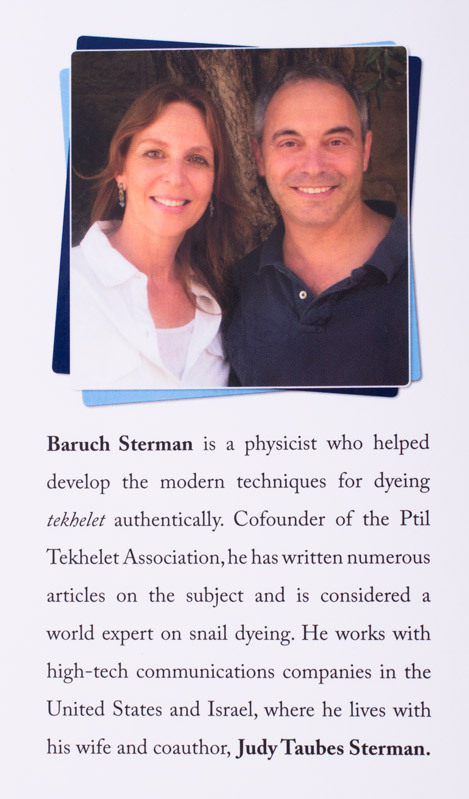 Discover how a sea snail, and the ancient dye that it produced, has colored the course of biblical and modern history! 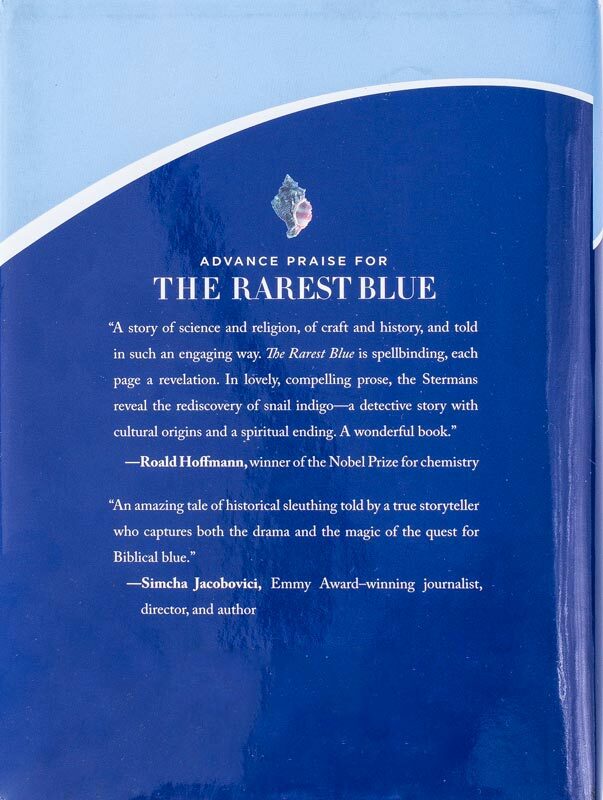 'The Rarest Blue' tells the incredible story of techelet, the elusive sky-blue color mentioned through the Bible. 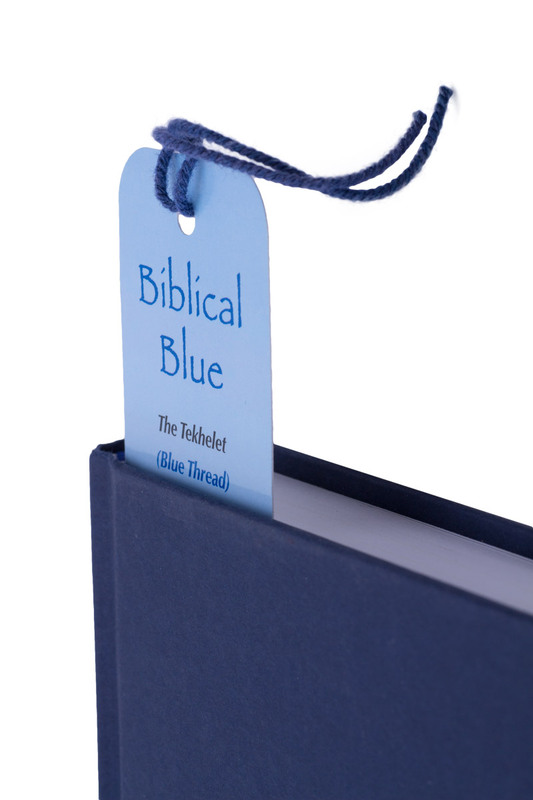 The Rarest Blue teaches you about the origins and meaning of the Biblical Blue Thread. 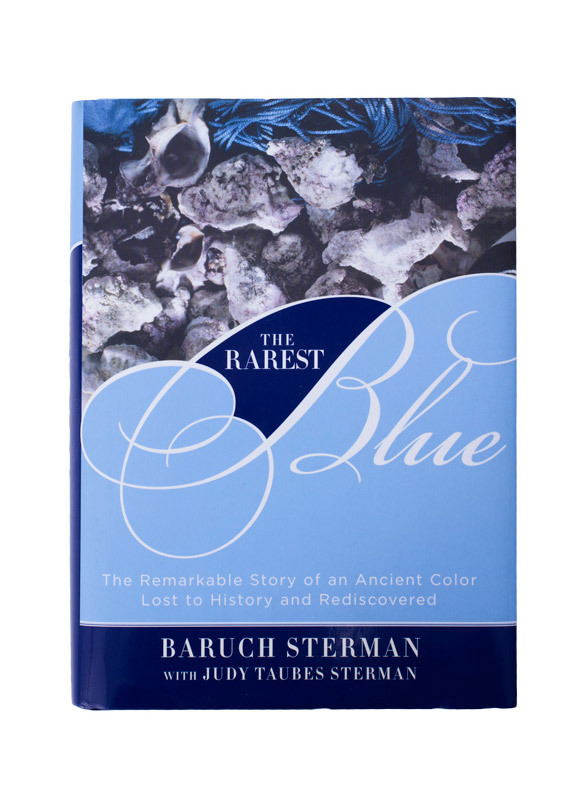 'The Rarest Blue' reveals the amazing secrets of the Biblical Blue dye that has been sought after for centuries. In this bundle you'll get 2 bookmarks with the authentic techelet thread so that you share one with a friend who's a Bible lover too! 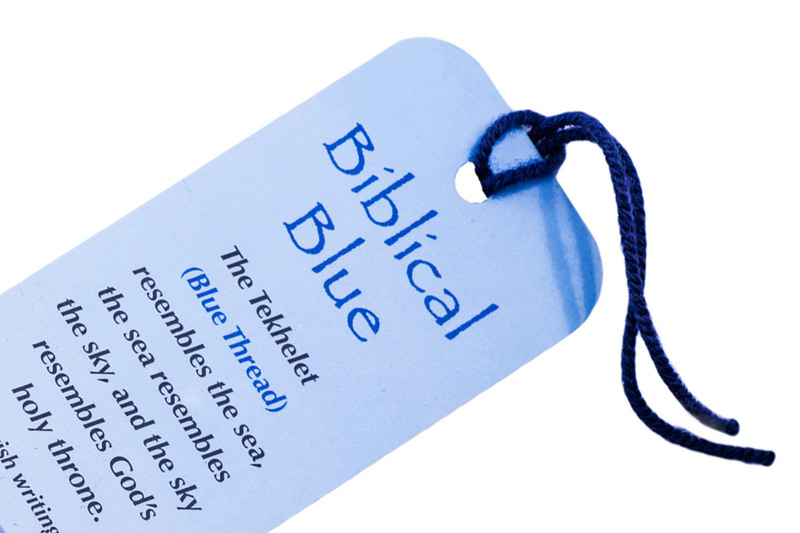 The Rarest Blue teaches you about the origins and meaning of the Biblical Blue Thread. 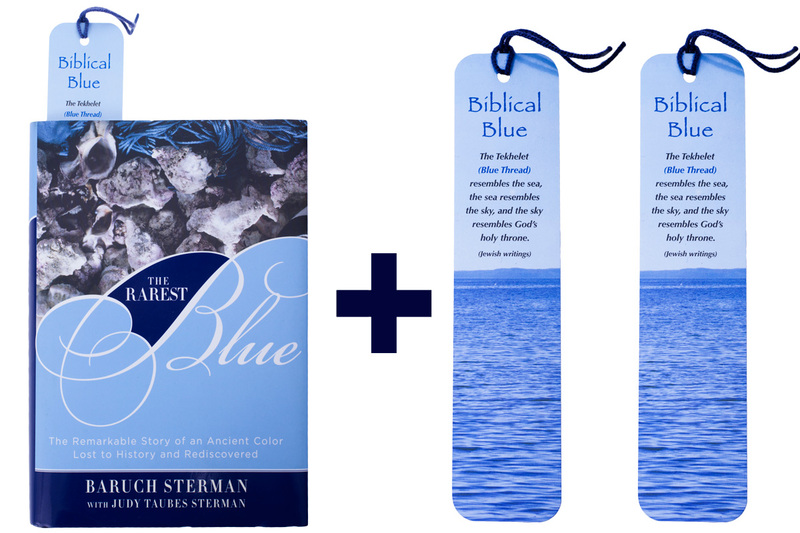 The bookmarks feature the Biblical Blue Thread and are the perfect complement to the book. 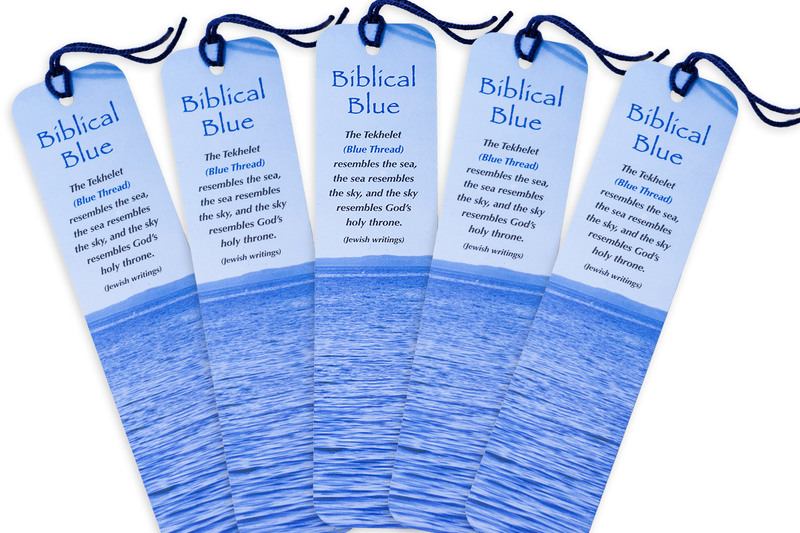 This bundle includes 5 Biblical Blue bookmarks made from the authentic Biblical Blue thread. 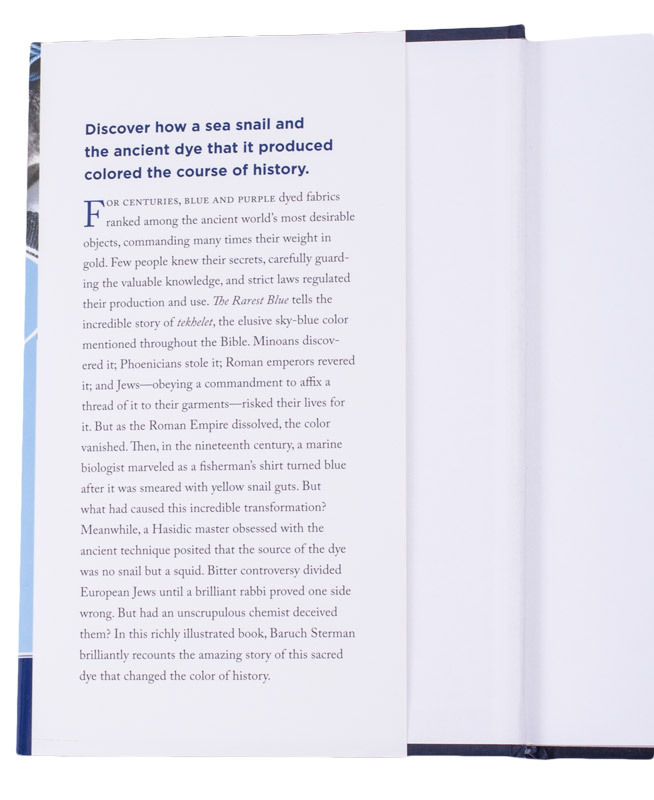 A great way to share the inspiring story of the elusive biblical treasure with your family and friends. Think of Israel every time you read your favorite book! A set of 5 fabulous bracelets featuring the authentic, beautiful Biblical Blue thread. 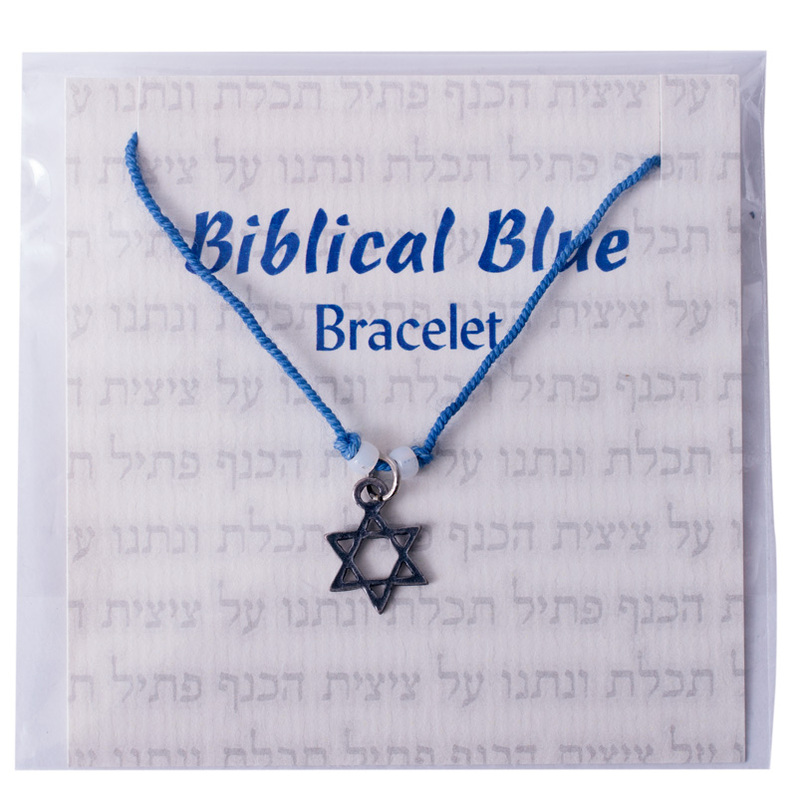 Complete with a Star of David and 2 white beads, these bracelets make perfect gifts for lovers of the Bible and the Land Israel. Keep one for yourself too! "...they shall place a blue thread upon the corners" (Numbers 15:38). 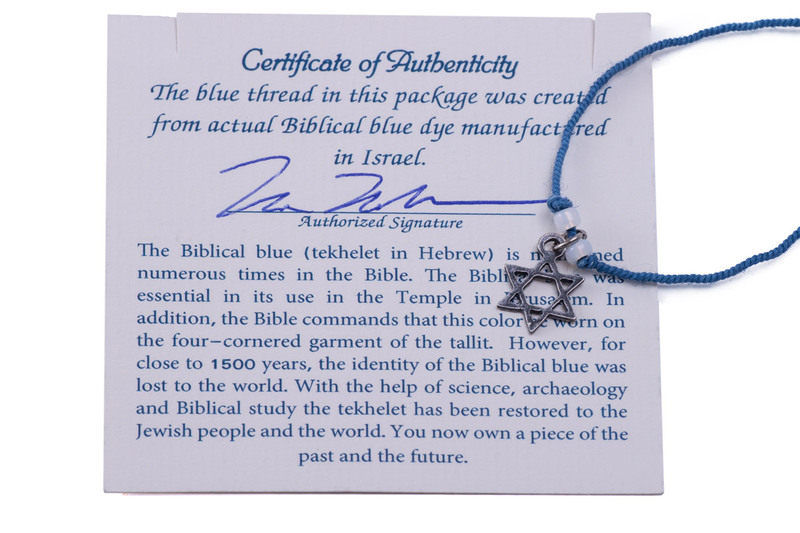 Unique bracelet features the authentic, beautiful Biblical Blue thread and is handmade in Israel. 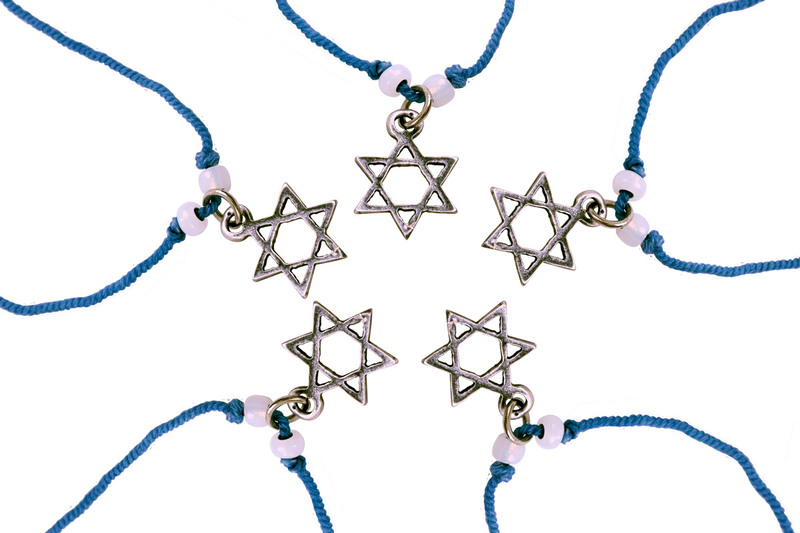 Complete with a Star of David and 2 white beads, the Biblical Blue Bracelet is a perfect one-of- a kind gift for lovers of the Bible and the Land Israel..
A set of 5 stunning, handmade biblical necklaces with authentic Biblical Blue thread. Complete with a Star of David and 2 white beads, these unique, meaningful Israeli treasures make meaningful biblical gifts that will be cherished forever.